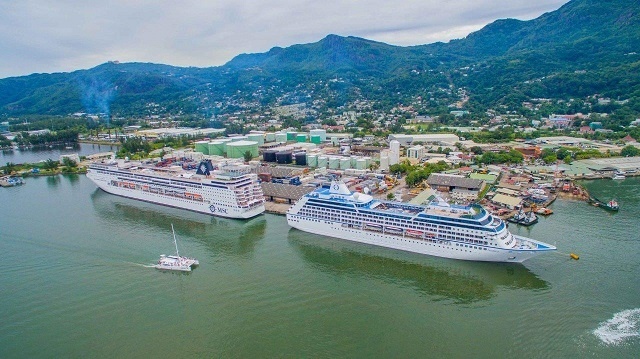 (Seychelles News Agency) - The Seychelles Ports Authority and partners have put in place stricter measures of control at the commercial port as Seychelles welcomes the cruise ship season once more. The Ports Authority has in the past had problems controlling operators who provide services to tourists with the increase in activity in the port during the cruise ship season, which starts in mid-October and runs until early May each year. For this season, a schedule has been introduced by which taxis, destination management companies (DMCs) and tour operators will be granted access to the port where they will be collecting their clients. “Once the cruise ship arrives, we will let in the DMCs which have the larger groups of clients. This includes Creole Holidays, Masons Travel and 7˚ South. Two hours later, it will be the turn of the tour operators to come in to collect their clients,” said Ronny Alcindor, the chief security manager at the Seychelles Ports Authority. He added that the tour operators will only be allowed back into the port after three hours. Only four taxi drivers will be allowed on the premises of the port in one go – others will have to queue up in a designated area outside the port. The representative from the taxi operation, Jemmie Bonne, has welcomed the initiative and is calling on all taxi operators to operate in line with the taxi operators code of conduct at all times. To facilitate identifications of licensed taxi drivers, tour operators and commission officers, the Authority has introduced colour-coded identifications. For their own safety and that of the visitors, the public is being asked to stay clear of the first 50m metres of the road leading to the gate of the Commercial Port. This is because there are a lot of heavy vehicles in operation in this section of the road. This season around only 10 vendors has been given permission to operate on the premises of the port, selling ‘Made in Seychelles’ products. The first cruise vessel in Seychelles is ‘Silver Discoverer’ which docked into the port of Praslin on October 10 and will arrive in Port Victoria on Friday. This is the second year that the vessel, belonging to the cruise line ‘Silversea’, is operating in Seychelles during the cruise ship season. 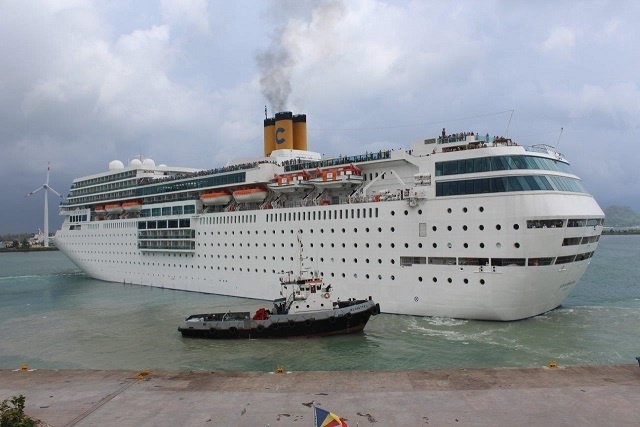 Costa Victoria, owned and operated by Italian cruise line Costa Crociere with a maximum of 2,394 passengers, will be the next vessel to call into Port Victoria. The port of Victoria is expecting 46 cruise ships this season, four more compared to last year. The Seychelles Tourism Board will have a kiosk at the port to provide visitors with information about the destination. There are currently two apps – ‘Seychelles Travel Guide’ and ‘Seychelles Ahoy!’ - that tourists can download on their smartphone, that will help them not only learn about the country but find activities they can do during their visit.